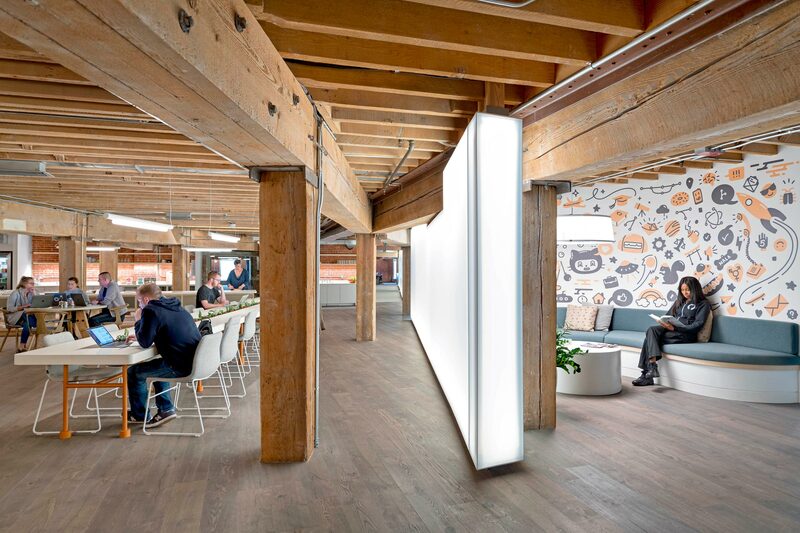 GitHub is an open source coding community, that prides itself on creating a transparent, connected, and collective product. 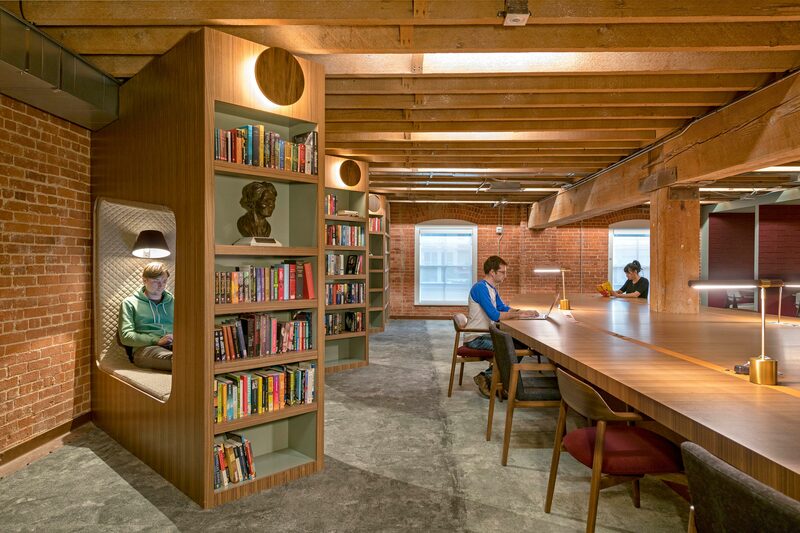 The goal of GitHub's new office expansion was to soften the harsh, masculine feel of their current brick and timber-framed building while providing a variety of opportunities for working at different times of the day. We began with an extensive programming analysis that enlisted multiple focus groups, individual feedback, and utilization surveys. 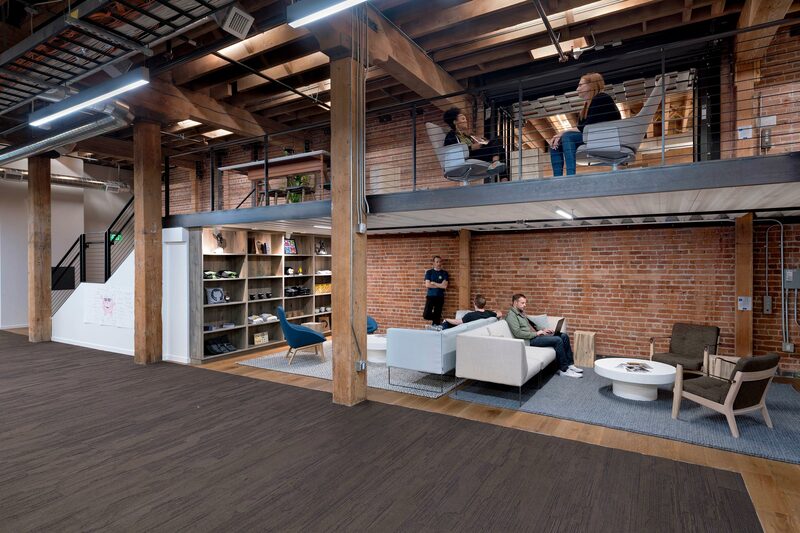 This helped our design team to understand what was working in their previous space and what wasn’t, as well as what resonated with employees culturally and the values they held true. 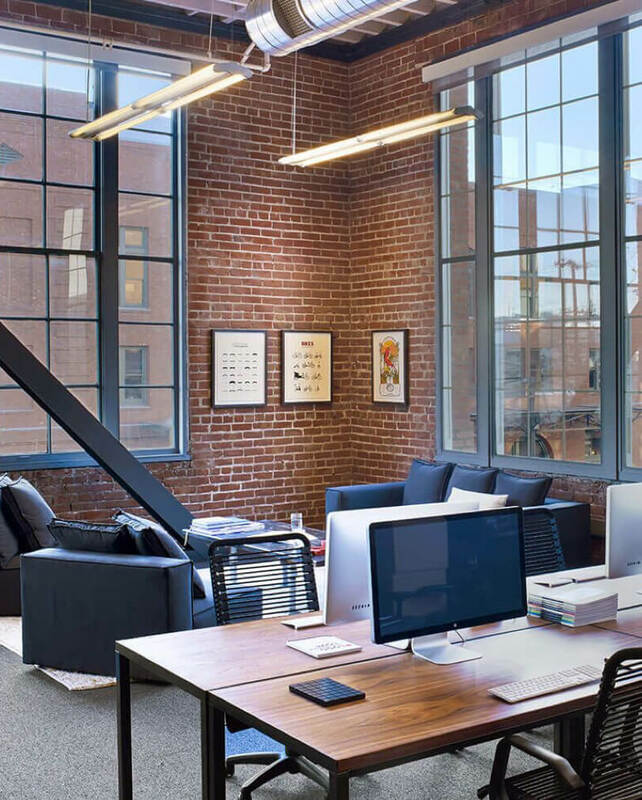 After collating the data into a comprehensive report, we incorporated the feedback to create a solution that strongly contrasted with their current space. 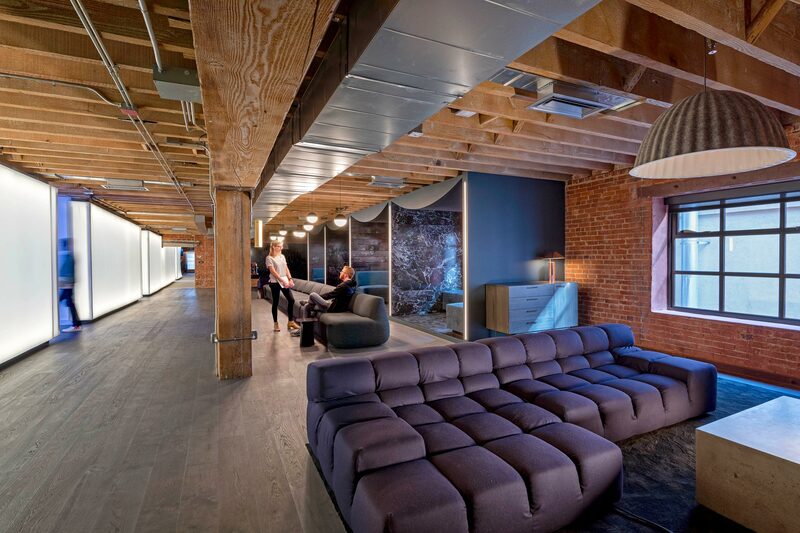 Our design concept was rooted in the company’s open source business plan. 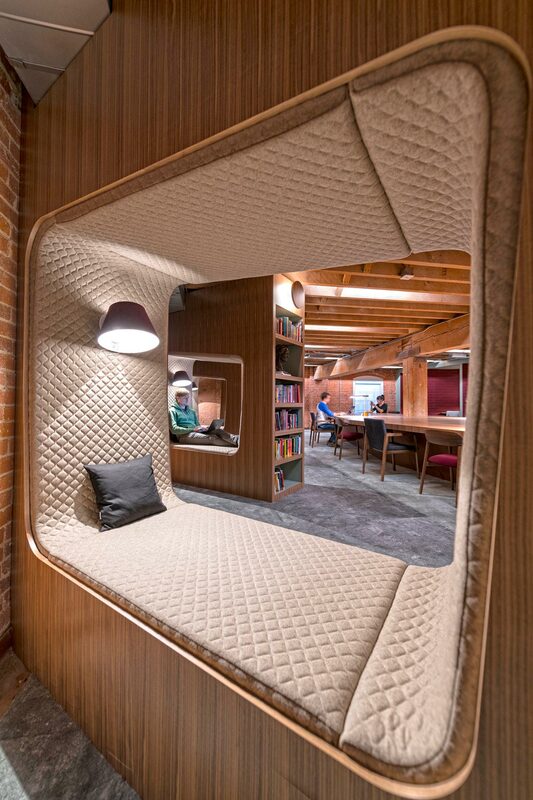 The strategy was to create an organic inner hub for a closed program while still maintaining a sense of privacy and connectivity. 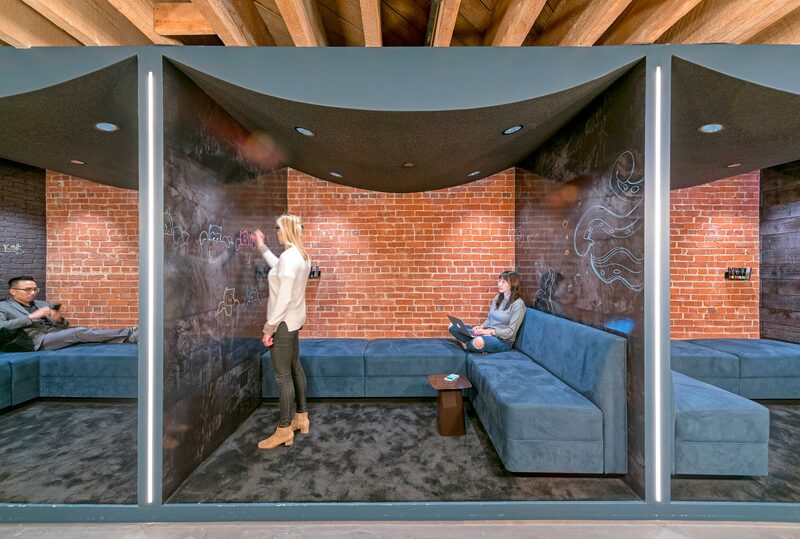 The floor plan became a physical model of open source collaboration, effectively translating their platform into a space. 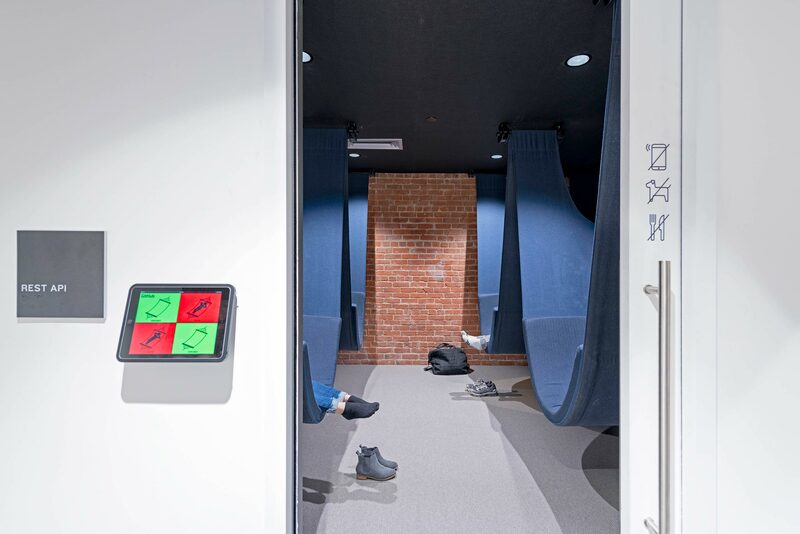 We designed a central hub of meeting spaces where employees and clients go to work together and then disperse to the surrounding open workspace. With minimum ceiling height and natural lighting only accessible on the eastern façade, the original floor plan is exceedingly dark and constricting. 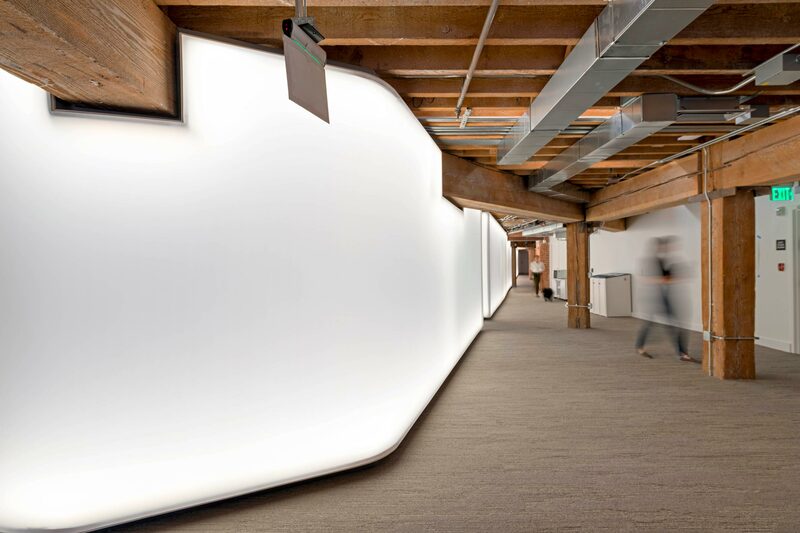 To counterbalance these conditions, a 1-foot thick backlit fabric wall is the dividing membrane, separating the closed program from the open office and creating a secondary source of light within the depths of the floor plan. 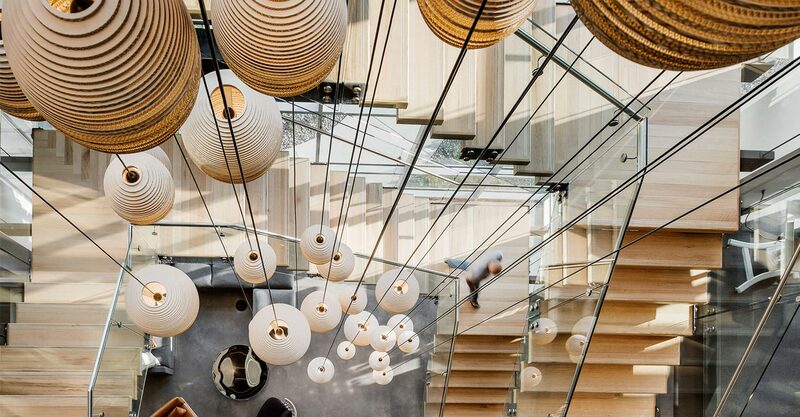 This soft material and organic form becomes a wayfinding element that runs continuously throughout the office and serving as a beacon of light between the two work settings. 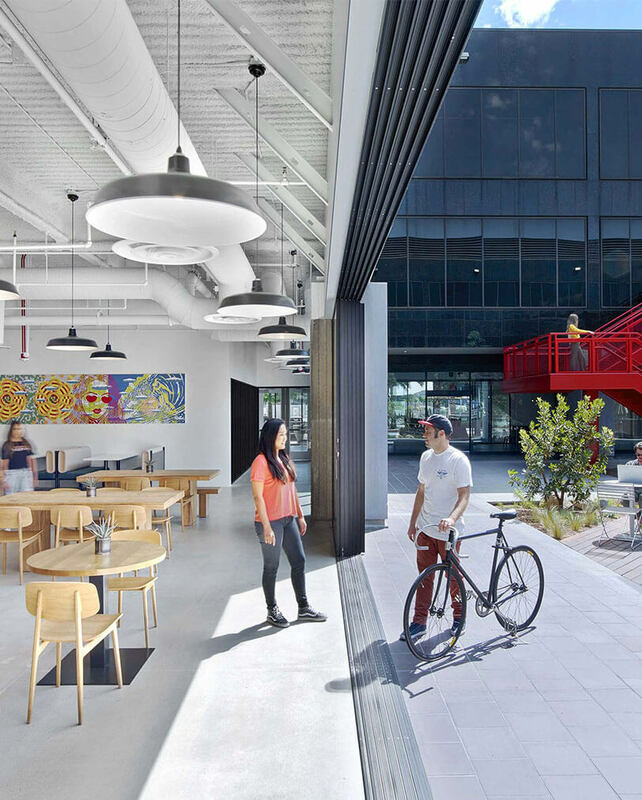 The resulting workspace is a design that responds directly to employee feedback, reacts to the existing site conditions, and creates an environment that promotes collaboration, fosters varied work styles, and builds vibrant communities. 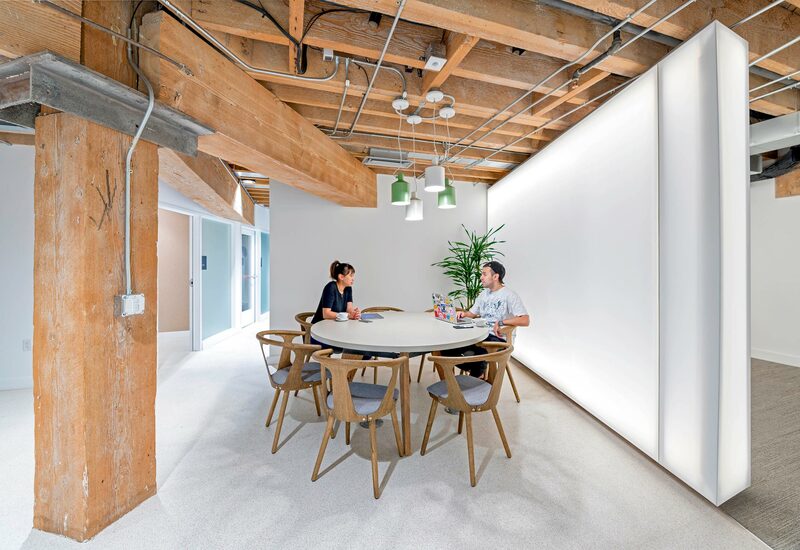 Quartz Github's refurbished San Francisco HQ is designed for inclusivity. Vans Headquarters Orange County original since 1966. 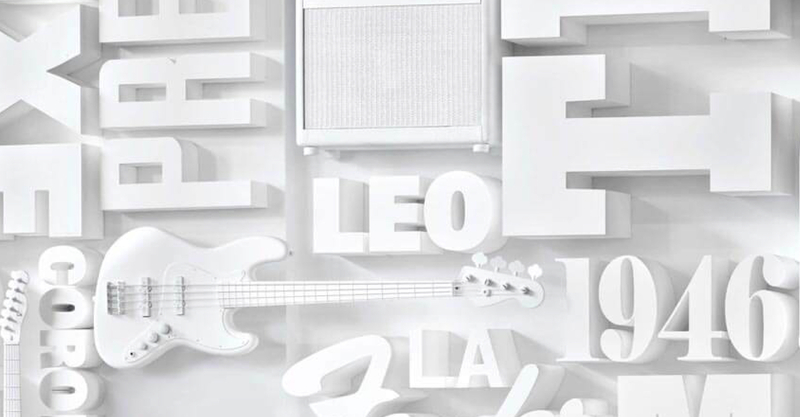 Fender A return to Southern California roots.